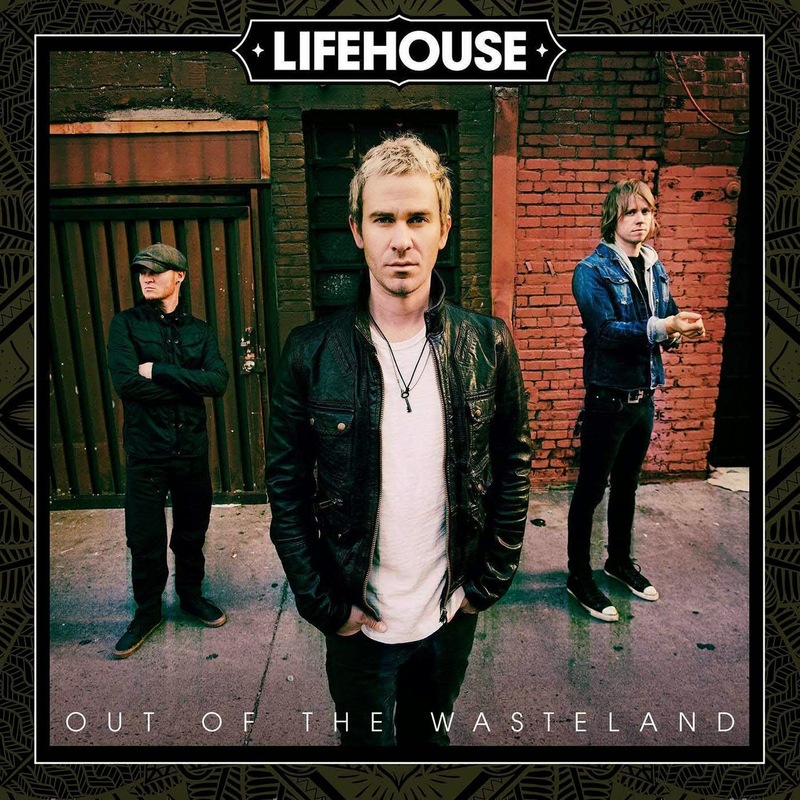 One of my all-time favorite bands is Lifehouse. Ever since their first album came out that senior year of high school/freshman year of college timeframe, I've been pretty hooked. (Although I'll have to overlook their last venture, Almeria, because I just didn't care for it all that much.) That last album didn't do them any favors, so they took a break and I was kinda sorta heartbroken for awhile. However, a few months back, I realized they were scheduled to tour this summer with Nickelback! Woo to the hoo! Call me crazy, but I definitely plopped down the ridiculous Nickelback prices for a concert ticket, just so I can see Lifehouse. (Yes, I'm a not-so-closeted Nickelback fan as well, just not as much as Lifehouse.) But with that good news also came the news of a new album, Out of the Wasteland. The week it came out, I ventured to Target for their extended edition and kept my fingers crossed. Immediately, off the bat, there were two songs that I really did enjoy... "Hurricane" and "Yesterday's Son." After that, well, I was skeptical. I just needed to listen a few more times. And a few more times I did... in fact, I went back into vintage Gail and played that CD and only that CD on repeat for at least 2 weeks in the car. And I definitely started to appreciate and like a lot more of the songs. Lifehouse was back... they were back in my good graces with some good, solid, music that reminded me of the reason I liked them so much in the first place. So, do yourself a favor, if you have liked them in the past, and make sure you grab this CD. (Or download it or whatever you kids are doing these days in the techie world!) I'm so excited to see them later this summer live. I haven't been to a concert in seemingly forever, and I've only ever seen them once. But they were amazing... one of the few bands who actually sounds like themselves when you see them live! Just perfect singing - that's all I need! Update: Since I pre-wrote this prior to Healey's arrival, Nickelback has announced they are cancelling their summer tour, which means, no Lifehouse. I am super bummed! Here's hoping I'll have an opportunity to see them again sometime!